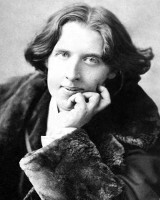 Oscar Wilde 16 October 1854 30 November 1900 Playwright William Wilde Jane Wilde Journalist, Poet, Essayist, Author, Playwright Playwright, novelist, essayist and poet. He became one of London's most popular playwrights in the early 1890s after writing in different forms throuhout the 1880s. He is remembered for his epigrams, his novel The Picture of Dorian Gray. A list of popular Hindi Oscar Wilde quotes are given below.